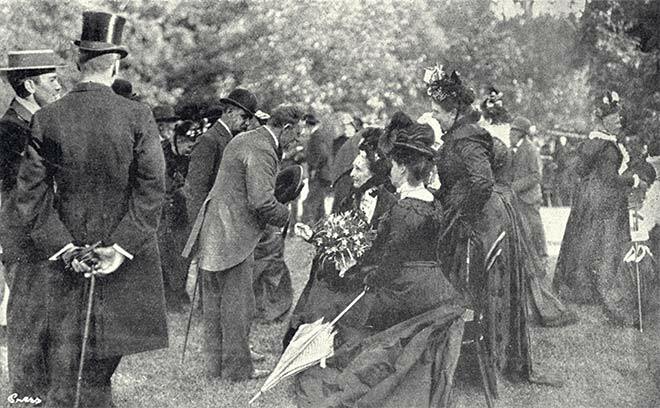 Jane Deans, the widow of the pioneer farmer John Deans, receives guests at a garden party held at her family home, Riccarton House, on 18 December 1900. The garden party was one of the featured events of Canterbury's jubilee (50th anniversary). As at other provincial jubilees, recognition of the original pioneers and early settlers was an important aspect of the commemorations.